LLI Project Mexico offers our Mexican-Mayan community of young learners, schools, teachers and families the opportunity to join the Little Learner Initiative (LLI) global campaign for a chance at a better education. Literacy is a basic human right and developing literate populations is a key component in eradicating human poverty (United Nations, 2002). Learning to read and write is greatly enhanced by a child's early oral language development and the experiences they have with literature. 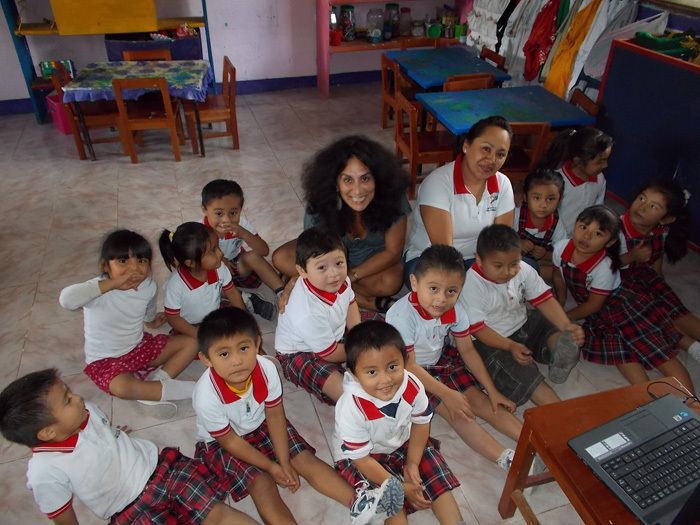 The Early Education for Every Child Foundation (EEECF) appointed Ms. Joy Koller as their official Liaison and Project Director for the Little Learners Initiative in Mexico. The generous ongoing grants from EEECF for early learning programs and curricula from BrillKids Inc. have made the project possible. LLI Project Mexico's mission is to create better awareness of the importance of early childhood education and literacy development and provide the chance to learn and speak English in Mexico. Providing an English curriculum as part of a better education in the early years is one step in improving cognitive development, learning ability and most importantly, a chance for our children to succeed in life and school. 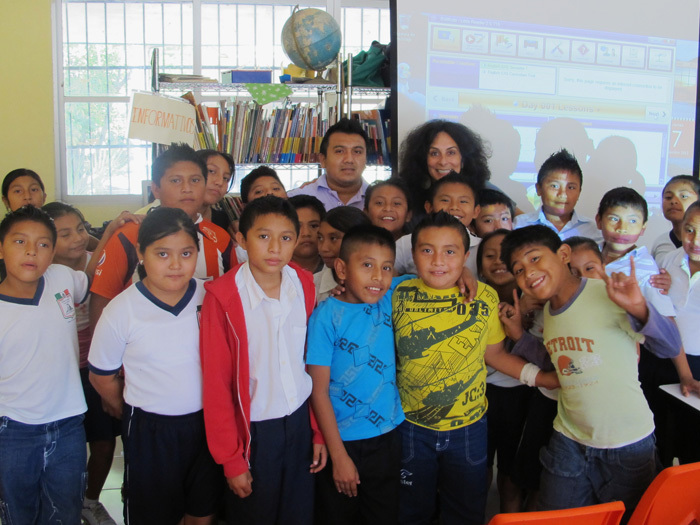 In September 2012, a committed local team that included Ms. Koller and Helene and Victor Ailhaud, began to support young learners in the State of Quintana Roo, Mexico by providing BrillKids English literacy resources to the most vulnerable schools and children in need. 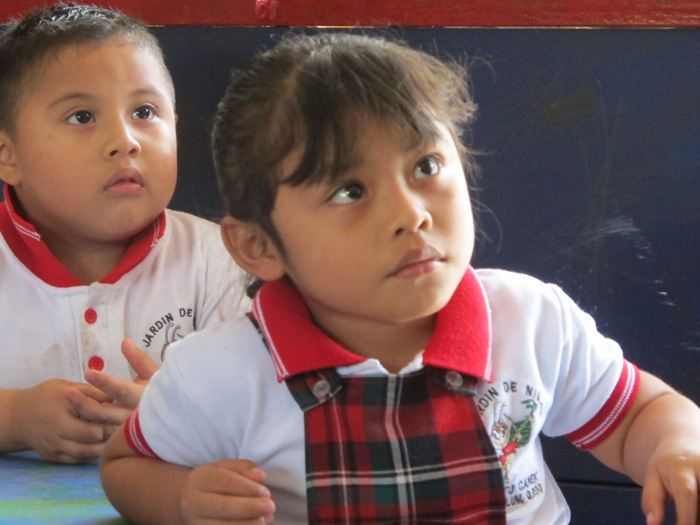 One of the goals of the State of Quintana Roo, Mexico is making Early Childhood Development (ECD) a priority in public policies' social development. However, there is a large population of children who do not receive adequate coverage by the first phase of development in education, health and nutrition. To address this need, specific objectives are now in place to build and adapt spaces for the Early Childhood Development (ECD) program over the next six years. The new Integrated Early Childhood Centers will offer an innovative approach with the design and construction of the necessary infrastructure and the implementation of programs of teaching and pedagogy. In the fall of 2012, we launched the LLI project Mexico in the Mayan City of Coba. Although we tend to believe that the Mayan culture has disappeared, this belief is far from the truth! Mayan people have survived through the centuries and preserved their special customs and traditions. They are known to be the second most important native group in Mexico. With the help of Michel and Laura Lequin assisting us with school visits to Coba, we were able to provide the basic Little Reader Kits there. Reading is a complex task and is not an automatic skill for many students. Reading is hard work and teachers worldwide need support and training in teaching children how to read and speak in English. Our first goal is to provide one child at a time a chance for a better life and to give the gift of Literacy. Learning how to speak and read in English with BrillKids Little Reader Software curriculum will provide our children the opportunity to increase their overall language development and improve their oral language skills in English and Spanish. 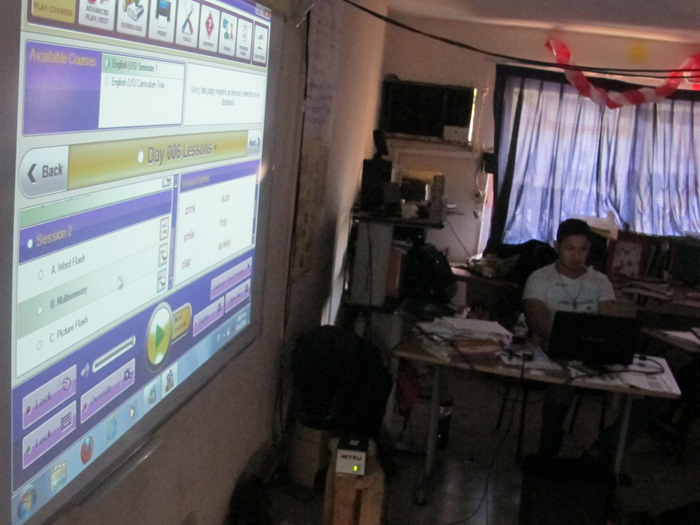 Five Mayan schools/Organizations in Coba, Mexico received the Basic Little Reader Software curriculum provided by BrillKids. Professor Luis Manuel May Cú, oversees the Casa de la Cultura at the Mayan community center of Coba, in the county of Tulum, state of Quintana Roo, Mexico. 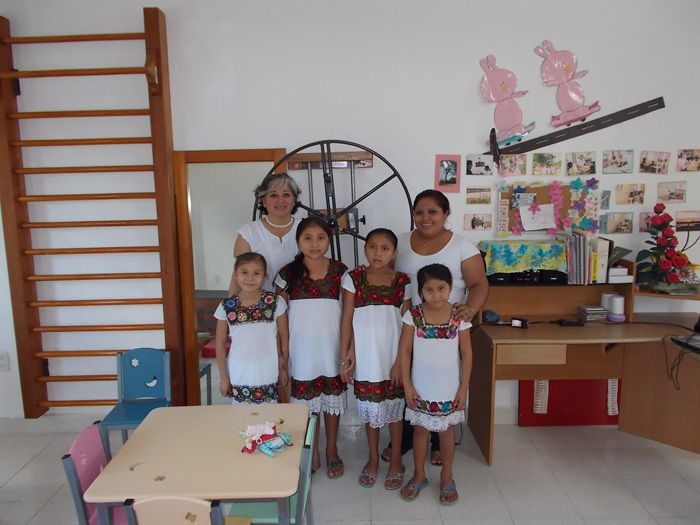 The children practice different cultural activities such as plastic arts, pre-Hispanic music and folkloric dances. The number of children that attend depends on the season and the activities offered, so it ranges from 15 to 60 kids. The goal of Casa de la Cultura is to provide an opportunity for the Mayan children of Coba a free space to interact with their own cultural roots. Also, at the same time they can get in touch with new cultures and practices brought by many tourists who visit the archeological site next to the community. 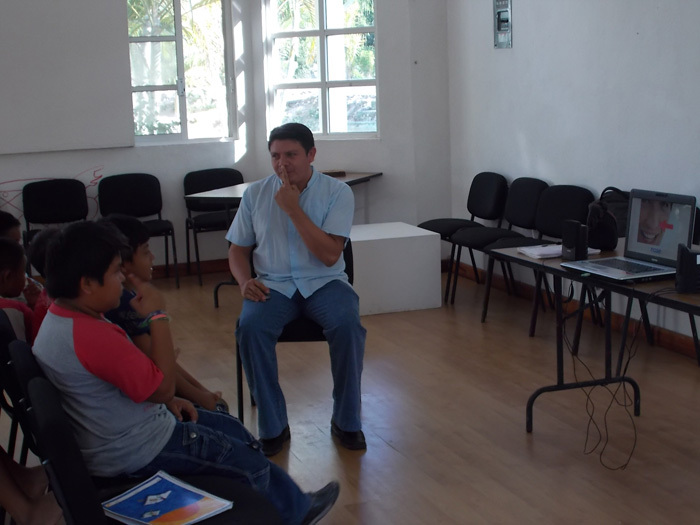 One of many new things happening is the arrival of the English language because the Casa de la Cultura is a public area where children can come freely, Professor Luis Manuel believes this is a perfect place to offer basic English lessons to the children. They are the future of the community; they could find better jobs without leaving their families. 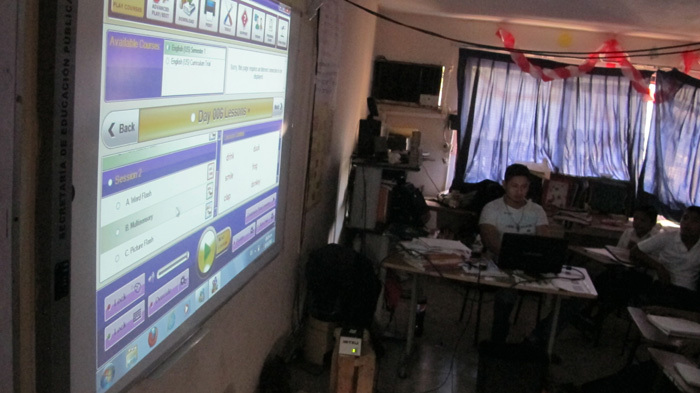 To offer literacy programs for young English language learners using a proven, systematic, premade English reading instructional software program. Our hope is to empower schools, teachers, parents and leaders in educational policy with the knowledge and tools needed to encourage early learning and English literacy instruction. We are committed to the growth and success of this program because we know it can change lives. FYI: The National System for Integral Family Development (Spanish: Sistema Nacional para el Desarrollo Integral de la Familia; SNDIF or just DIF) is a Mexican public institution of social assistance that focuses on strengthening and developing the welfare of the Mexican families DIF is an important government program in Mexico. DIF partners with the Ministry of Education in offering various educational services..I am happy we have one school under DIF implementing Little Reader.